Today, we have a guest blogger at The Employer Handbook. It’s Melissa Kluska. Melissa currently writes for St. Jude Retreats, a non 12 step alternative to traditional alcohol and drug rehab. As well as writing for St. Jude’s, Melissa enjoys blogging about health and relationships. 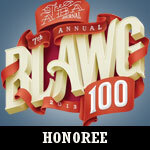 Voting in the ABA Journal’s Blawg 100 Amici contest is winding down soon. If you dig this blog, please vote for The Employer Handbook here, by clicking the banner to the right, or tweeting your support. Some substance users are better at hiding their problems than others. This can be exceptionally true for employees who are abusing substance while at work. Since the employee most likely needs a job and the income, they will do their best to keep their problems discreet; this could mean lying to friends, family and even their coworkers. As a manager, it may be extremely hard to tell if an employee is developing a substance use problem, and typically you may only discover it when the situation is well out of control. Their work performance declines. This could happen because of personal issues at home, but if an employee is struggling with an alcohol or drug addiction, job performance will decline, in addition to mood, attitude and initiative. You may notice that your employee is having a difficult time concentrating, focusing on numerous tasks at once, being on time, or even doing normal everyday tasks. Due to standard workforce labor laws, it is best to note the decline and have substantial evidence that your employee is not performing up their expected level. It’s also important to give them a formal warning about their decline in work before taking action further. They appear to be disheveled or under the influence day after day. After months of substance use, whether drugs or alcohol, the body will begin adjusting to higher and higher levels, this increases the need for more intake of these substance to keep the body from creating physical withdrawal symptoms, which at times can be extremely painful. This could cause an employee to use substance during their work shift. Obvious signs of being intoxicated include; red blood shot eyes, the smell of alcohol, the inability to walk or stand up straight, shaking hands, sweats, dilated pupils, and in some cases stuttering or the inability to speak clearly. They take numerous breaks or longer than normal lunches. Some employees will attempt to sneak off and engage in substance use when they are actually not on working grounds, thinking that they could not get in trouble or be caught this way. In some cases the tolerance is so high that the person can function as normal even under the influence, using eye drops or mouth wash to cover up these signs. Pay attention to any patterns that you notice, especially around the employee’s break times. It’s again to note these changes, but may be harder to confront your employee about them, unless you noticeably smell alcohol or see them in the act of doing drugs. If your employee is taking more breaks than necessary it’s important to speak with them immediately. Once it has been confirmed that your employee may have a substance use problem, it is up to you and your organization to decide how to handle it. Some employers weigh the pros and cons and decide to terminate the employee, especially if their poor performance is costing the organization money. However, there are many employers that offer help to their employees and may even let them leave for a period time to seek alcohol or drug treatment rehabilitation. If you see great potential in an employee, it’s important for you to know that it is possible to completely overcome substance use and live a productive lifestyle once again.